If you want to get a sensational Mexico tan on your Cancun vacation, follow these tips to get the best tan of your life! Before you head to the beaches in Cancun and the Mexico Caribbean, consider your skin type and heritage. People with lighter skin, freckles; red, blonde, or light brown hair; blue, gray, or green eyes are more likely to burn. Those with Scandinavian and British roots are also prone to sunburn. Yes, you can still get a nice tan using sunscreen! 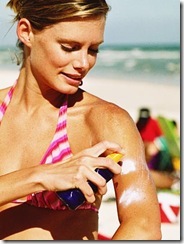 Use a sun protection factor (SPF) of at least 15, preferably 30 or 45. Sunscreen should be broad spectrum, which blocks both UVA rays (that age skin) and UVB rays (that cause sunburn) that can cause skin cancer. 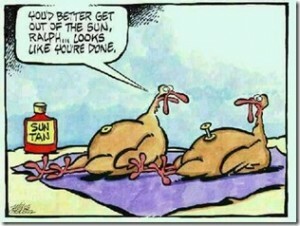 Apply sunscreen 20-30 minutes before going outside for better absorption. Reapply after swimming, towel drying, sweating, and every 1-2 hours. Dab sunscreen carefully on your eyelids and around your eyes. Use a high SPF lip balm on your lips. The best sunscreen for your skin and the environment are natural sunscreens that contain zinc oxide or titanium dioxide, which are broad spectrum. Avoid those that contain artificial chemicals, such as Benzophenone-3 (or Oxybenzone); Octinoxate (or Octyl-methoxycinnamate); Homosalate; PABA Padimate-O (or octyl dimethyl PABA), which can be harmful. Wear sunglasses or protective tanning goggles at least part of the time. Effective sunglasses block 99-100% of UVA and UVB rays and should be noted on the label. You can alternate taking sunglasses on and off to prevent tan lines. Closing your eyes isn’t enough protection (and squinting can cause wrinkles). Getting a base tan before your fun-in-the-sun vacation is both appealing and preventative. The Mexico sun is direct, intense, and penetrates the atmosphere easily. Take “practice runs” by tanning for short spurts of time before you travel. Gradual exposure to the sun can prevent a painful sunburn on your vacation. Try to avoid extended sun exposure from 10:00 a.m. to 4:00 p.m. when the sun’s rays are most damaging. Rotate sides every 20-30 minutes to discourage burning and increase even tanning. Check frequently for missed spots, and expose them to the sun. Take frequent breaks in shady areas, and drink lots of water. If your skin shows signs of redness, stop tanning. Take a break from sunbathing for 1-2 days and do something else like taking a tour. Tanning accelerator supplements (or lotions) can increase your body’s tanning ability. The primary ingredient is tyrosine, an amino acid that helps stimulate melanin production, i.e., brown skin pigment. Maintain your sensational Mexico tan by moisturizing with an after sun lotion. They contain special ingredients that nourish skin and extend tan life better than regular moisturizers. Use after sun lotion immediately after a shower. Towel dry and lotion up immediately (including your face). The best after sun lotions for your skin and the environment are natural lotions that contain plant and vegetable oils. Avoid petroleum-based ingredients, parabens, sodium laureth sulfate, and chemicals with PEG, xynol, ceteareth, and oleth in their name. The best tan starts with a Cancun vacation!